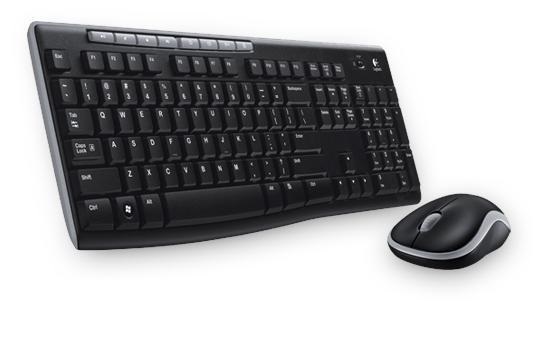 The reliable wireless combo with the tiny Logitech Unifying nano-receiver and carry around mouse. • Instant access to media controls—movies, music, Internet, e-mail, play/pause, volume and more—are one touch away. • The full-size keyboard with number pad, directional keys, and nine F-keys is comfortable, convenient and built to last. • Take the mouse with you. This comfortable mouse fits easily into computer bags and pocket to travel with your computer.